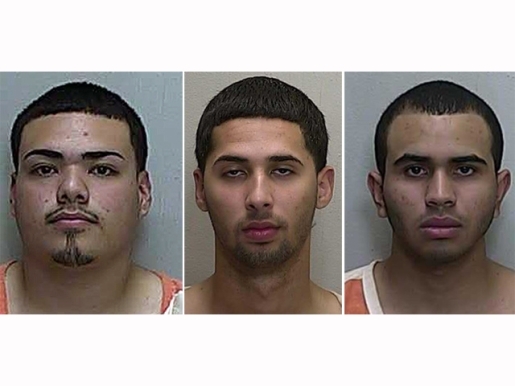 Teenage criminals Waldo Soroa, Matrix Andaluz, and Jose David Diaz Marrero are not very smart. The three burglars, all age 18 or 19, broke into the home of a woman in Silver Springs, Florida, with the intent on making their way out of the place with all her stuff. Perhaps they were going to buy drugs. I’m not sure why they broke in, but they did. When the victim returned home, she saw several missing things, like jewelery and electronics, but what worried her was the missing ashes of her two Great Danes and her late father. The burglars who broke into her house stole and snorted her dead father’s ashes thinking they were drugs. That’s right, they did lines of corpse remains thinking it was some kind of snort-worthy drug. Rather than return the ashes, when they figured out they had a nose full of Grandpa, they did the poor victim a disservice by dumping the remains. The Marion County Sheriff’s Department dive team is attempting to recover the remains. The three named burglars and their two juvenile accomplices face charges of attempted residential burglary and impairing a phone line to the home.